7. Kilimanjaro Safaris – One attraction in Disney’s Animal Kingdom is amazing to enjoy in the right kind of rain. Kilimanjaro Safaris is located in the Africa section of the park and has guests board authentic safari vehicles and set off onto the Harambe Reserve for up close encounters with many of the animals from Africa. 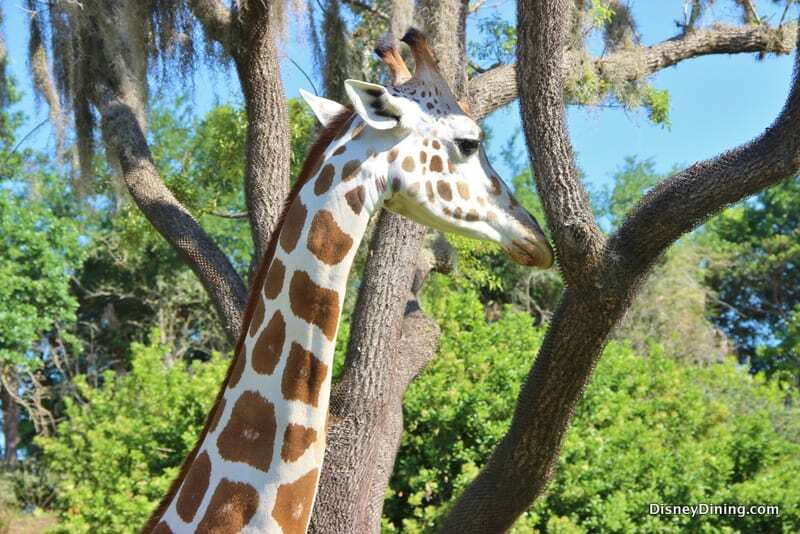 Guests can spot giraffes, elephants, lions, cheetahs, rhinos, hippos, and more in beautiful habitats that emulate the African forests and savannahs. A rainy day that features light rain, no thunder, and not lightning makes for an amazing time to enjoy Kilimanjaro Safaris as the temperatures are cooler and the animals might be more active in wandering through the Harambe Reserve. Guests should just make sure to have on ponchos or rain jackets as the safari vehicles are open on the sides which might bring some of the rain in. Despite the chance of getting wet, enjoying Kilimanjaro Safaris on a rainy day is an amazing experience!